Mumbai: Rakeshkumar Das first came to the big city 22 years ago to get a piece of India's economic growth. But his life still resembles that of an illegal immigrant in his own country. Rents are so high that he cannot afford to live in Mumbai, so he sleeps in the taxi he drives and takes the 36-hour train ride home to his wife twice a year. 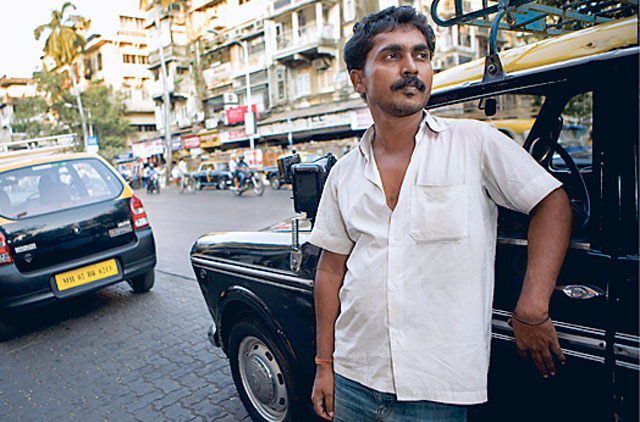 Now he fears he will lose his job after the state government tried to restrict cabby licenses to those who can speak a local language. Most drivers, migrants like Das, do not. The controversy rekindled the anti-migrant attitudes that sometimes flare up in the country's commercial capital. Nativist politicians cast migrants as economic competition and a strain on resources, unleashing passions that in the past have led to violence. This time, two top figures — politician Rahul Gandhi and cricketer Sachin Tendulkar — defended migrants with the slogan "Mumbai is for all Indians" and cooled tempers, for now. But the larger question remains whether to better accommodate migrants with improved urban infrastructure and government services, or to discourage them through locals-first job preferences and decentralised development. Das is one of hundreds of millions of migrants whose ranks are only expected to grow, and so force the debate. The taxi driver controversy emboldened anti-migrant activists in the city. One of the most prominent, Raj Thackeray, told his party workers in March to attack migrant slum dwellers who illegally hook up their own plumbing connections. "Just beat them up, don't waste your time," he said, according to local media. As the country's commercial capital and therefore a magnet for job seekers, Mumbai for years has been the chief flash point for migrant-worker issues. But now a nativist party is gaining ground in the high-tech hub of Hyderabad. New Delhi's chief minister has also talked of curbing "in-migration." The persistence of these efforts irks some analysts who fear they could stifle labour flows and economic growth. "Without question, some of [India's] competitiveness could be placed at risk if [cities] can't get either this large pool of cheap labour for construction or a more talented group of people who can't find opportunities" at home, says Sumit Ganguly, a visiting professor at the Rajaratnam School of International Studies in Singapore. He blames a "failure of urban governance" for the overburdened infrastructure. "The whole notion of the idea of ‘migrants' is something we must rebel against," he adds. "As a citizen of the US, for example, if tomorrow I get a job offer in San Francisco and I move to take it, no one is going to tell me I am a migrant to California." But the Indian census looks at migrants precisely that way, finding that 30 per cent of the population has permanently moved from a hometown. "Sons of the soil" movements argue that India would be better off if migration were discouraged. The grand-daddy of these movements, the Shiv Sena Party in Mumbai, argues that the city - with its 19th-century sewer system and traffic-choked roads - cannot handle the 500 newcomers who arrive daily. "This place is already saturated," says Prem Shukla, editor of the party's newspaper. "Reverse migration should start, and there should be decentralised development." Shukla argues that India should be creating "Mumbais" in other parts of the country and encourage migrants to return to the countryside with their money and experience to "start a new green revolution". Similar arguments are starting to appear in Delhi. Its popular chief minister has talked about strains that migrants impose, though she backtracked some after triggering media disapproval. In a 2008 book titled The Invasion of Delhi, scholar Sanjay Yadav argues that the original inhabitants in and around Delhi have been marginalised by newcomers. He calculates that they now make up just 35 per cent of the population and hold 6 per cent of the white-collar jobs. He also appeals to environmentalism, arguing that the region has grown polluted partly as a result of too many people with too little connection to the land. He says migration is holding back development elsewhere.